Two weeks ago I interviewed Davis King, the creator and chief maintainer of the dlib library. Today I am going to demonstrate how to install dlib with Python bindings on both macOS and Ubuntu. I highly encourage you to take the time to install dlib on your system over the next couple of days. 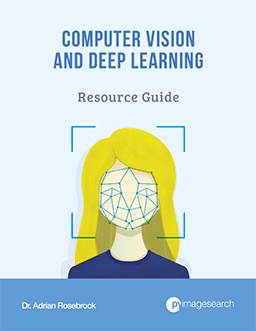 Starting next week we’ll be diving head first into one of dlib’s core computer vision implementations — facial landmark detection. But it all starts with getting dlib installed! To learn how to install dlib with Python bindings on your system, just keep reading. Developed by Davis King, the dlib C++ library is a cross-platform package for threading, networking, numerical operations, machine learning, computer vision, and compression, placing a strong emphasis on extremely high-quality and portable code. The documentation for dlib is also quite fantastic. Over the next few weeks we’ll be exploring some of these techniques (especially facial landmark detection), so definitely take the time now to get dlib configured and installed on your system. Boost: Boost is a collection of peer-reviewed (i.e., very high quality) C++ libraries that help programmers not get caught up in reinventing the wheel. Boost provides implementations for linear algebra, multithreading, basic image processing, and unit testing, just to name a few. Boost.Python: As the name of this library suggests, Boost.Python provides interoperability between the C++ and Python programming language. CMake: CMake is an open-source, cross-platform set of tools used to build, test, and package software. You might already be familiar with CMake if you have used it to compile OpenCV on your system. X11/XQuartx: Short for “X Window System”, X11 provides a basic framework for GUI development, common on Unix-like operating systems. The macOS/OSX version of X11 is called XQuartz. I’ll show you how to install each of these prerequisites on your Ubuntu or macOS machine below. After completing these steps, continue to Step #2. 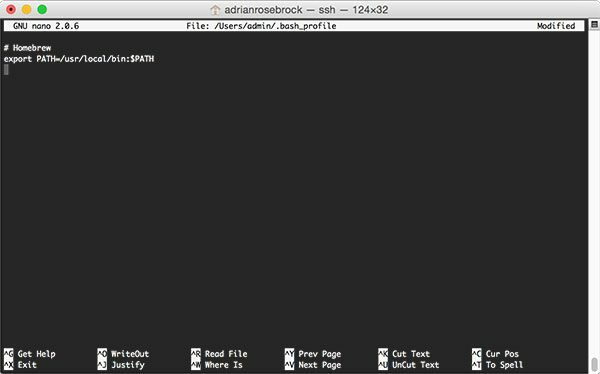 In order to install Boost, Boost.Python, and CMake on macOS, you’ll be using the Homebrew package manager. Think of Homebrew as a similar equivalent of Ubuntu’s apt-get only for macOS. Hint: You can check if Homebrew is already installed on your machine by executing the brew command in your terminal. If you get a brew: command not found error, then Homebrew is not installed on your machine. Figure 1: After updating your ~/.bash_profile file, yours should look similar to mine. This command only needs to be executed once. Alternatively, you can open up a new terminal window which will automatically source the ~/.bash_profile for you. The --with-python3 flag ensures that Python 3 bindings for Boost.Python are compiled as well — Python 2.7 bindings are compiled by default. Once you start the boost-python install, consider going for a nice walk as the build can take a bit of time (10-15 minutes). As you can see from my terminal output, both Boost and Boost.Python have been successfully installed. The last step is to install the XQuartz window manager so we can have access to X11. XQuartz is easy to install — just download the .dmg and run the install wizard. After installing, make sure you logout and log back in! Fun Fact: XQuartz used to be installed by default on OSX 10.5-10.7. We now need to manually install it. Now that we have our prerequisites installed, let’s continue to our next (optional) step. 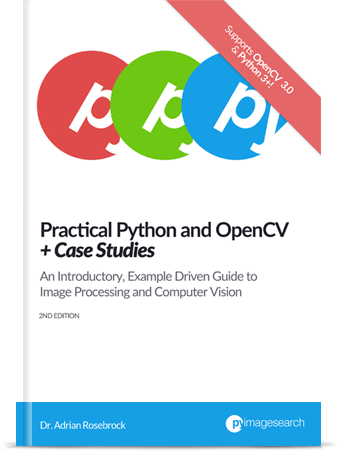 If you have followed any of my PyImageSearch tutorials on installing OpenCV, then you are likely using Python virtual environments. Using Python’s virtualenv and virtualenvwrapper libraries, we can create separate, independent Python environments for each project we are working on — this is considered a best practice when developing software in the Python programming language. 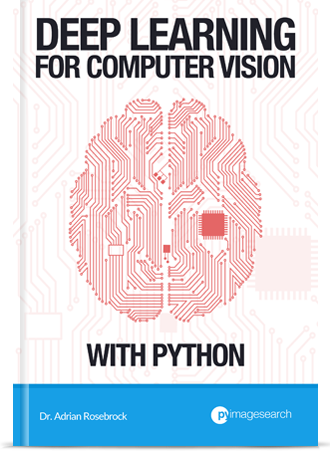 Note: I’ve already discussed Python virtual environments many times before on the PyImageSearch blog so I won’t spend any more time discussing them here today — if you would like to read more about them, please see any of my installing OpenCV tutorials. Figure 2: I can tell that I am in the “cv” Python virtual environment by validating that the text “(cv)” appears before my prompt. Again, please keep in mind that using Python virtual environments are optional, but highly recommended if you are doing any type of Python development. For readers that have followed my previous OpenCV install tutorials here on the PyImageSearch blog, please make sure you access your Python virtual environment before proceeding to Step #3 (as you’ll need to install the Python prerequisites + dlib into your virtual environment). 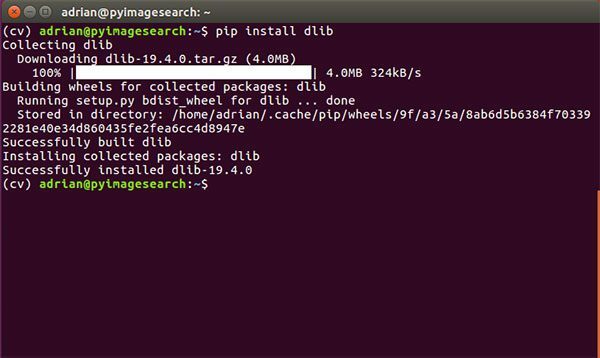 This command will download the dlib package from PyPI, automatically configure it via CMake, and then compile and install it on your system. Provided you have the CMake, Boost, Boost.Python, and X11/XQuartz installed on your system, the command should exit without error (leaving you with a successful dlib install). I would suggest going out for a nice cup of coffee as this step can take 5-10 minutes for the compile to finish. Figure 3: The dlib library with Python bindings on macOS have been successfully installed. Figure 4: Installing dlib with Python bindings on Ubuntu. Figure 5: Testing out my dlib + Python install on macOS and Python 3.6. Figure 6: Validating that I can import both dlib and OpenCV into the same Python shell. Congratulations, you now have dlib installed on your system! In today’s blog post I demonstrated how to install the dlib library with Python bindings on Ubuntu and macOS. 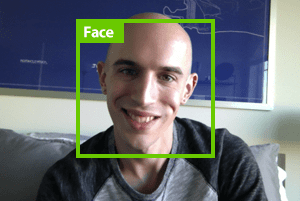 Next week we’ll start exploring how to use dlib; specifically, facial landmark detection. You won’t want to miss this tutorial, so to be notified when the next post is published, be sure to enter your email address in the form below! Can you install dlib on Windows? If so, how? Please see my reply “Anoynmous” below. Thanks for sharing this amazing and exciting C++ library. Kindly advice the right/stable version of Ubuntu to install. I’ve personally tested these instructions with both Ubuntu 14.04 and 16.04. Both work. Will pip also install the tool for bounding box annotation? Unfortunately, no. For that you will need to compile dlib from source. You can increase memory on the Raspberry Pi by decreasing memory allocated to the GPU via raspi-config. I also had the MemoryError problem installing scipy on my Pi 3. Using pip’s –no-cache-dir switch allowed the install to complete 0k. It might be worth adding that to your excellent instructions. Hey Brian — I’m actually doing an entirely separate tutorial for installing dlib on the Raspberry Pi next week (1 May 2017). It will include a few additional tips to help get dlib installed on the Pi. You might want to look at my post today about getting dlib to install. It has taken me about 3 days to get openCV and dlib installed but I’m there now. 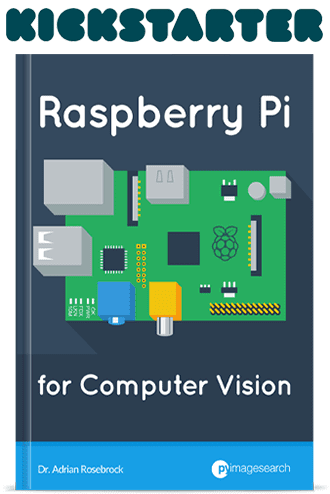 Is it possible to install this on a Raspberry Pi? Yes, absolutely. Ubuntu and Raspbian are Debian-based so you can actually use the Ubuntu instructions to install dlib on your Raspberry Pi. Adrian, I keep getting errors when I try to install scikit-image on my Raspbian. How to fix? What is the error you are getting? Without knowing the error, it’s impossible to provide any help or insight. Thanks Simba — and congrats on getting dlib installed. Can we have a same installation process for windows also please.. Struggling a lot for it. I do not have any plans to create a Windows install tutorial nor support Windows on the PyImageSearch blog. Please refer to dlib official site for Windows instructions. When it comes to learning computer vision (or most advanced science techniques), I would encourage you to use a Unix-based system. Wow, that’s not exactly helpful. I guess now ‘I do not have any plans’, either…to spend my money on your products. I wish I could offer Windows support, but there are honestly too many logistical issues. 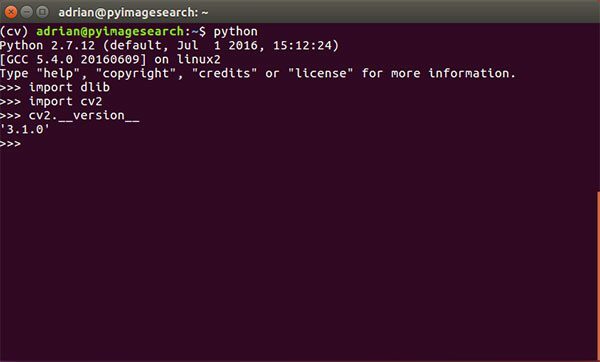 I offer almost 200 free tutorials here on the PyImageSearch blog. I hope you enjoy them. If you don’t want to purchase any of the teaching products here on PyImageSearch, you don’t have to — no one is asking you to or forcing you to. Enjoy the content and I hope it helps you on your computer vision journey. But please keep in mind that I am just one person and there are limitations to what I can provide. I’ve found that Unix-based environments are the most useful when building computer vision applications (the exception being if you want to build a Windows app, of course). If you have a Windows-specific question, I am not the right person to ask. How did you find it in yourself to reply so politely to that comment? Have you concidered adding an extra HD to your system and making it dual bootable with Ubuntu nstalled aside your windows installation ? Hello, why don’t you work on a virtual machine ? I am doing so on my Mac, all the Python stuff works much better on a Linux 16.04 LTS VM on VirtualBox. Both products are free, you can get VirtualBox from https://www.virtualbox.org/wiki/Downloads. Just install it on your Windows system, create or download (http://www.osboxes.org/ubuntu/) the Ubuntu VM and than follow the directions given by Adrian. Everything is described step by step, its a breeze. You don’t know tech then. Windows != “tech”. So, no one really develops tutorials for Windows. Half broken, ill matched binaries aren’t exactly dev friendly. You not only made the wrong choice with Windows, but you are also abusive to Adrian. I personally have spoken to him on several occasions, he’s very helpful and doesn’t deserve your statements. I have a nice idea for you. Why don’t you show how to use DLib to learn the 194 Facial Landmarks of the HELEN database (Remember to augment the database by mirroring the images)? It would be great and will create a new trained predictor for the users of DLib. The dlib library ships with a facial landmark detector? Are you asking me to demonstrate how to train that detector from scratch? Keep in mind that most of the dlib functionality doesn’t have Python bindings, only C++. Yes, I was talking about training it for a new job. My idea was 194 Points of the HELEN database. I had installed dlib a few days back. I am working in a virtual environment using Anaconda and my experience was that there were a few incompatibilities between the boost in anaconda repository and dlib from pip. After toiling for a few days, was able to get dlib working with Anaconda. Had to setup dlib and boost from source. So if any one is facing difficulty in working with Anaconda and dlib, I might be able to help. Adrian, I am eagerly waiting for your future posts on dlib. Thanks! Congrats on getting dlib installed Michael. And thank you for being willing to help Anaconda users. Good to know. I had Anaconda and couldn’t get dlib going due to a boost problem. Finally, simply re-installed Ubuntu from scratch; after that dlib installed OK per instructions here. Can you please help me in installing dlib in anaconda environment in windows. I am getting error after trying every option – “Could NOT find Boost”. please help. hey man, i do have a problem installing dlib on anaconda 3 , what did you do? when i try to install dlib on anaconda its showing some conda http error …could ypu please just me some solution. Double-check that you are indeed connected to the internet before trying to download and install the package. Also validate that your DNS is working properly. Thanks Adrian. I installed dlib – on Linux 16.04 – no issues at all. Congrats on getting dlib installed Murthy, nice job! Thanks a ton man. Just struck the Ubuntu + OpenCV + Python + Dlib installation and configuration in one go. It’s just because of you. Thank you for the kind words Neeraj — and congratulations on getting dlib installed. 99.9% of the time you’ll see a segmentation fault error when you try to import dlib into a different version of Python than it was compiled against. I would suggest compiling dlib from source rather than using pip. I am trying to install dlib library on raspberry pi 3. The commands in step 3 to install three packages were failed; installed them using sudo apt-get command. The install is likely not “stuck”. It can take 10 minutes to install dlib on a standard laptop/desktop. On a Raspberry Pi this number can jump to an hour. If you run top you’ll see that your system is busy compiling dlib. I followed this tutorial to install dlib in python. Everything was going smoothly until the time of installing dlib. When i ran the command “pip install dlib” it gives two error “Failed building wheel for dlib” and “error: cmake configuration failed!”. It sounds like the internal CMake script could not configure dlib correctly. Did you install all the dependencies without error? You have might to resort to compiling dlib from source. i tried over and over , while install dlib it failed at %79 building cxx….. Which operating system are you trying to compile dlib on? i tried on your pre-installed package for raspi and i get same error again. I’m writing a tutorial dedicated to installing dlib on the Raspberry Pi. It will go live at the end of this month. The tutorial will resolve any issues installing dlib on the Raspberry Pi. Installing DLIB was hanging my RPi 3 (1Gb ram). Today I increased the size of the dphys-swapfile to 1Gb and moved it (temporarily) onto a USB hard drive. The Raspian default is 100Mb on the SD card! Of course a 100Mb swap file on an SD card is going to ‘wear out’ the SD card if a lot of swapping takes place. Yay, the install has just this second completed without error – and probably in less than 20 minutes (I didn’t time it exactly)- now to follow your blog. Having done that I’ll now restore the original swapfile and reboot. For others with similar hanging issues this is what I did (after a few hours of web searching). 1 find a USB powered hard drive (I had a Philips 300Gb not doiung anything) and plug it in. Now you can dismount the usb drive and use it for some other purpose. When my Pi camera turns up I can get now on with facial feature recognition. Oh, and one last recommendation. Having suffered so many hiccups on the route I took the precaution of imaging my SD card after each major stage. I use Win32DiskImager for that. Hi Brian — I’m actually detailing an entire blog post dedicated to installing dlib on the Raspberry Pi. It’s already written and set to publish on Monday, May 1st at 10AM EST. It makes use of swap settings similar to yours. You actually don’t even need the external drive if you increase your swap file size. It would be nice to have Sym-link with all of them. You would need to find the location to your cv2.so first. Normally it would be in /usr/local/lib/python2.7/site-packages/cv2.so, but you’ll want to check on your own machine first. How to implement the paper “Max-Margin Object Detection” based on Structured SVM by Python, which is written by Davis King? Can you give a example in your blog?Maybe, it is a good topic for your course! The method is already implemented inside the dlib library. I would suggest looking at the dlib source code if you’re interested in the algorithm itself. I am using Raspberry Pi 3 and when i installed dlib it only worked on Python 3.4 and it doesn’t work on Python 2.7. I want it to work on Python 2.7 because when i type “import cv” on Python 3.4 i get an error because there is no module named ‘cv’, while on 2.7 i can import cv. This sounds like an issue with your Python virtual environments. Please refer to this blog post where I provide instructions on how to install dlib on the Raspberry Pi. Appreciate your blog on installing the dlib library. I do wish to ask you of an error as when I am installing the dlib it gets stuck while compiling the trainer.cpp as a result the installation of the dlib freezes. I read on stackoverflow that we have to manually compile the cpp examples? I am running on py2.7.9 virtual env. Any suggestions would be helpful. Which operating system/hardware are you trying to compile dlib on? I am running it on raspberry pi 3 : Raspbian GNU/ Linux 8 (jessie). Please use this tutorial to install dlib on your Raspberry Pi. I installed dlib in Ubuntu 16.04 following this guide and it works perfectly. Thanks for that! My problem is that face detection is a really slow process and I want to speed-it up by activating the support for AVX extensions but I don’t know how to modify the cmake in order to recompile it as initially I just did it through pip(pip install dlib). Congrats on getting OpenCV installed Ampharos, nice job! As far as face detection goes, you’ll want to compile dlib from source rather than a pip install. I’ll be covering how to speedup the dlib library for face detection and facial landmarks in a future blog post. Please see the other comments in this post. You need to sym-link your cv2.so bindings into the Python virtual environment you used for dlib. 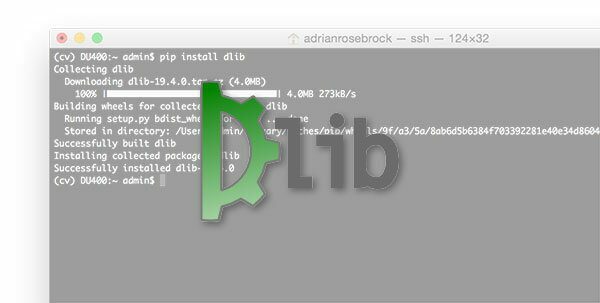 Hey Damian — please use this blog post to install dlib on your Raspberry Pi. Can I install dlib using anaconda? I am using conda environment variable but running into many issues one after another. says to uninstall , but anaconda has many things. Is it wise to uninstall it? I have never used Anaconda to install dlib, I am not sure. I would suggest asking on the official dlib forums. thanks for your great tutorials. I followed this one on my macbook on Sierra, and succeeded in compiling without errors. However, when I import dlib in python3.6, I get an error: illegal instruction: 4. Could it be my processor is not up yo this? It sounds like you compiled dlib against a different Python version than you imported it into. Double-check your Python versions and ensure you use the same Python and pip for both install and import. Thank you for this great work. These are the great tutorials to start with. However, reading the comments made it clear you have less idea to install dlib on Windows. I’ve installed cmake, boost using pip and installed boost-python using gohlke’s libraries ( http://www.lfd.uci.edu/~gohlke/pythonlibs/#boost.python ) but cannot figure out about X11. Can you help me with this one only. Would be a great help as a beginner. Hi Arpit — thanks for the comment; however, I do not support Windows here on the PyImageSearch blog. I highly recommend that you a Unix-based environment such as Linux or macOS to study computer vision. Great tutorials Adrain! I’ve installed dlib for ubuntu 14.04 as described above but run into the following error when I try to import the module: ImportError: libpng16.so.16: cannot open shared object file: No such file or directory. The package is not on my system (dpkg -L libpng16-16, returns an error) but I can’t seem to install the package (sudo apt-get install libpng16-16, is unable to locate the package). I’m new to ubuntu but I feel like I’m missing something very basic. Thanks! Hi Andy — I’m sorry to hear about the issues installing dlib. The issue is related to your libpng library not being found. I would search your system install for any libpng library install. You may need to install it via “apt-get”. Then re-install dlib. Any help is really appreciated. I really want to enjoy your awesome course after fixing this blocker. Hi Mohamed — this seems like it might be an Anaconda-related issue. I have not used Anaconda in awhile so I unfortunately cannot replicate the error. Can you please try on a different system that uses the instructions I’ve detailed in this post (i.e., without Anaconda)? Secondly, you’re default Python is Python 3, but your error is due to a mismatch in versions. Again, I think this is an Anaconda issue messing up your Python PATH. If you’re using Homebrew on top of this as well it would only further make the issue as well. For what it’s worth I offer pre-configured VMs with dlib pre-installed inside my courses, so definitely don’t let this blocker hold you back! Thanks for your reply, Adrian! Do you think if I use virtual environment and go through the instructions this could solve the problem? If you were to skip using Anaconda and use virtualenv/virtualenvwrapper as I suggest in this tutorial I think it would resolve the issue you are having. Based on your output it seems that your system killed the compile, likely due to running out of memory. How much RAM does your system have? I’m using it on VM Ware 2012 and my system have 8 GB of RAM. How much RAM did you allocate to your virtual machine? Do we need to do any extra setup for GPU support of dlib? You need to have the cuDNN and CUDA dev kit installed. To quote Davis King, the creator and maintainer of dlib: “When you compile it will print messages saying what it’s doing. It will say something like “Using CUDA” or that it’s not using CUDA because you are missing cuDNN or the CUDA dev kit. I am trying to install opencv and dlib on my macbook using homebrew. However, I am facing the following error with dlib and I struggle to find a solution to this. Does anyone know how to fix this? Thanks. I’d recommend that you install dlib with pip (not brew): pip install dlib. thanks for running such an excellent blog. it is quite useful for college like students like me. I use an ubuntu system (16.04.3) and my query is not exactly related to dlib, but another problem I am facing during its installation, which I hope you can clarify. I hope you acn help me to solve this issue. Hey Valentin — I don’t think your Pi is “stuck”, it’s just compiling SciPy. Take a look at the output of top to validate that the compile is running. Great tutorial!! thumbs up ..
i have installed everything correctly but still getting error!! need help!! If CMake is reporting “configuration failed” then there was a problem configuring the build. Scroll up through the CMake output and find where the error occurred as it will give you more information. i finally install dlib success!! I am getting an import error while importing dlib in some python script as -ImportError: No module named dlib. Can you help me solve this. Hey Pranesh — I’m not sure what the exact error is in this case but I would recommend following this updated guide on installing dlib. Hey Mojtaba — did you install dlib into the Python virtual environment included with the VM? Additionally, I just published a brand new dlib install tutorial that may be easier to follow and get up and running. That is indeed quite strange. Can you confirm that “pip install dlib” finished with an error? In these situations the pip install could have errored out and then the dlib library would not be installed. The installation was successful for me and I managed to do ” import dlib ” without error. But I wanted to know if this installation on Windows is correct or if I absolutely have to go through all the steps described above? I also have another question. I use Python 2.7 and OpenCV version 2.4.13.3 and I saw on your screenshots that you use other versions of Python and OpenCV. I wanted to know if my versions allow to work later for the detection of the eyes and the face. It’s been a long time since I’ve used Windows so I’m not sure on the answer to your first question. Hopefully another PyImageSearch reader can chime in here. As for detecting eyes and faces, OpenCV 2.4 will work provided you’re using Haar cascades. If you want to use pre-trained deep neural network for face detection you’ll need at least OpenCV 3.3. Thanks for such great tutorial. I got error after installation of dlib. dlib was compiled to use SSE41 instructions, but these arent available on your machine. That sounds like a warning rather than an error. Can you still import dlib into your shell/Python scripts and execute the code? I don’t have the exact timings on me but the last time I installed dlib on a Pi 3B+ it did take a few hours.